Our specialists answer your calls within 25 seconds. We offer 100% satisfaction guarantee. 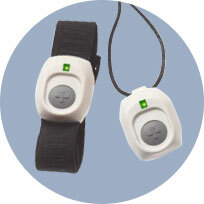 Our medical alarm is a superior, state-of-the-art system that is FDA Registered as a Type II Medical Device. In addition, our dedicated team of EMD trained care specialists are available 24/7, 365 days of the year. We are proudly made and monitored in the USA. Press the Panic Button in times of emergency. The button is waterproof and can be worn as a bracelet or necklace. Each of our EMD-certified Care Specialists receive the same training as 911 dispatchers and are certified in CPR. These certifications may enable the Care Specialist to recognize life-threatening emergencies. Every second counts. Getting help fast in an emergency can mean the difference between a full recovery or complete loss of independence. Our Care Specialists are committed to staying on the line with you until help arrives. We are available 24/7 for non-emergency customer service and will customize protocol and dispatch within FDA guidelines. "Thank you Freedom Med Alert! A few months after my daughter urged me to getting an alert, I had a TIA, mini stroke right in the middle of breakfast. I suddenly felt ‘out of it’ and pressed my button. Luckily I was able to get help and later learned that it could’ve been fatal if I had not been treated right away. My daughter and I are convinced that the alert saved my life." "I haven’t had to use my medical alert but it’s a wonderful feeling to know that I can get help immediately if and when I do have an emergency. I want to stay independent and healthy for as long possible to enjoy my family. I’m very blessed to have two wonderful new granddaughters to look forward to spending time with! Thank you Freedom Med Alert!" "My parents are both in their 80s and truth be told, are not in the best health. I was worried especially after learning that Mom fell in the driveway trying to unload some groceries. Thankfully, Dad was with her and she’s ok. 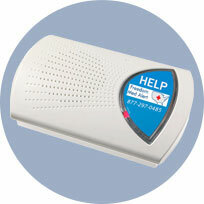 I called several medical alarm companies before enrolling Mom & Dad with Freedom Med Alert. Great customer service, quality product (USA Made), easy install and pricing affordable (no additional monthly charge for Dad). My parents mean the world to me and to know that they can get help immediately when they need it is just priceless."